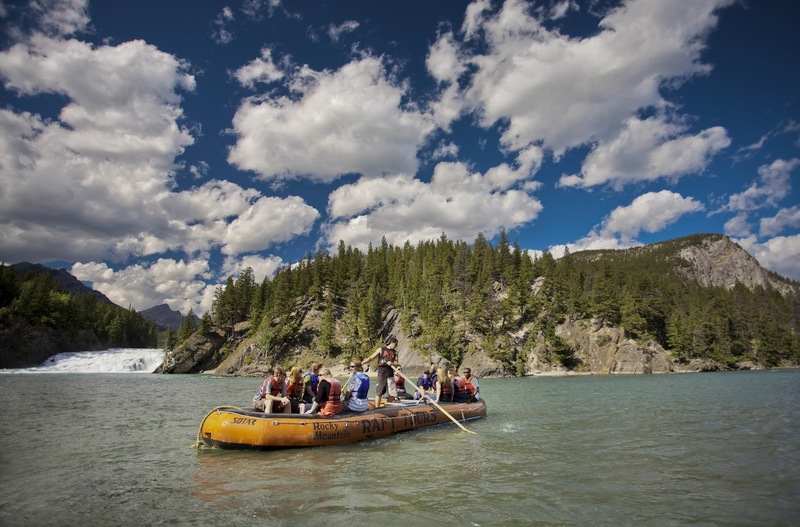 Just have one week in Banff this summer and want to make your trip really count? I teamed up with Expedia.ca to bring you a true insiders look at Banff National Park. Get off the beaten path, see the top sites, and get some valuable tips for capturing those prized views without crowds of other tourists jumping into your photos. A short 20 minute gondola ride transports you up to Sunshine Village’s upper resort area from where you can get even higher with a ride up the Standish Chair lift. You’ll be rewarded with amazing views over the continental divide and out to Mount Assiniboine, nicknamed the Matterhorn of the Canadian Rockies. Spend your day hiking through fields of wildflowers in Sunshine Meadows, hike around three alpine lakes, and make sure you get the prized photo of your family sitting in front of Rock Isle Lake. Please visit the Sunshine Village website for more information on the gondola and chair lift along with hours of operation and ticket costs. Insider tips: Arrive early to take the first gondola of the day at 9am and enjoy crowd free views while most people are still having breakfast in town. The gondola will also be less busy on Fridays than it will be on Saturdays/Sundays. Rent a canoe, kayak or stand up paddle board from the Banff Canoe Club and spend a couple of hours paddling up Echo Creek towards the Vermillion Lakes. You’ll get classic views of Mount Rundle from the First Vermillion Lake as you paddle around the wetlands looking for birds and other wildlife sightings. From the Canoe Club you can also paddle up the Bow River which is peaceful and easy going with little current to paddle against. When you tire of paddling, turn around and float back down river to the docks. Insider tips: Arrive early in the day if you want your choice of boat without a line up. Boat rentals will be busiest mid-day. Take a scenic boat cruise on Lake Minnewanka, go mountain biking on the Water Tower Trail with gorgeous views of Cascade Mountain, hike to an old ghost town, or visit Banff’s only beach at Johnson Lake. These are just a few of the adventures waiting for you on the Minnewanka Loop Road. More information on the Minnewanka Loop road can be found in this story that I wrote for the Real Banff website: Adventures along the Minnewanka Loop Road. Insider tips: Pack a picnic and have dinner at the Johnson Lake Beach in the evening. Go for a paddle across the peaceful lake or take a short hike around the lake and enjoy a quiet swim without the day time crowds. While Tunnel Mountain may not be Banff’s biggest mountain, it will still give your lungs a workout. Many children have claimed Tunnel as their first summit and it’s a great family outing with kids as young as 3 or 4 years old. Start your Banff adventures with a walk up Tunnel Mountain early in the morning with a picnic breakfast and a thermos of coffee. Enjoy views down over the Town of Banff and across the Bow Valley. Tunnel Mt. is also a nice evening hike after dinner if you’re looking for a quick activity to tire the kids out before bed. Insider tips: Avoid this hike in the middle of the day when the sun bakes the hot dry slopes. Save it for early morning or evening instead for a much more pleasant outing. With 650 metres of height gain spread over 5.5 kilometres, Sulphur Mountain is a steep hike. You’ll be well rewarded though with some of the best views of the Bow Valley and six mountain ranges. Save the knees and purchase a discounted gondola ticket for $24 per person for the return trip down. The Banff Gondola is currently undergoing a $26 million renovation so services are limited when you arrive at the top. Construction is set to finish in August, 2016. Once the renovation is finished, you will be able to have lunch or dinner at the upper gondola station and enjoy interpretive displays. Insider tips: The gondola operates until 10pm each night so consider visiting in the evening for a peaceful hike looking down over the valley without the daytime crowds. Sundance Canyon, Vermillion Lakes Drive and The Legacy Trail are all beautiful trails that you can explore in a day or two with the aid of a bike. These paved rides are family-friendly and visit hiking trailheads, playgrounds, lakes, and viewpoints that beg for dozens of photos to capture your family vacation. Ride the Legacy Trail and you can even visit the neighboring town of Canmore for lunch or dinner. For more information on biking in Banff check out my previous blog post on the Best Family Bike Trails in Banff. Insider tips: Rent bikes in Banff and avoid the effort of trying to transport enough bikes for your whole family. Also, most trails will also be quieter in the morning or evening. Camping in Banff and don’t want to move campsites? 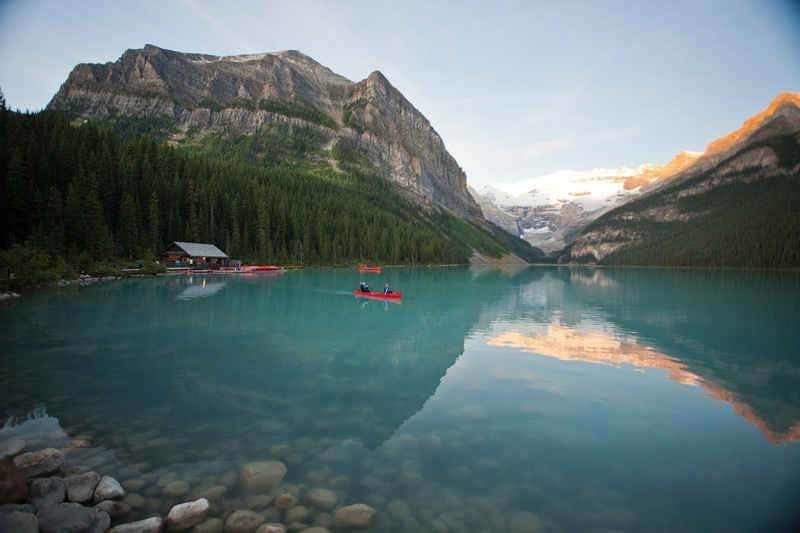 You can still visit Lake Louise as a day trip and go for a hike to one of the two tea houses, or rent a canoe for a paddle across either Lake Louise or Moraine Lake. For the more adventurous, you can hike up to Saddleback Pass and then follow a rough trail to the top of Mt. Fairview. You’ll gain 1000 metres of height gain on this one but the views are unparalleled from this mountain peak. Sentinel Pass, the highest maintained trail in the Rockies, is also highly recommended as a day hike via the Larch Valley Trail from Moraine Lake. Insider tips: At the risk of sounding like a broken record, plan yet again to start early before the crowds descend on the trails. If visiting a tea house is high on your priority list, aim to be there mid-morning at the latest or you will be fighting for a table and service. If you have to choose between the Lake Agnes Tea House or the Plain of Six Glaciers Tea House, it comes down to ease of access Vs. best views. Lake Agnes is easier with younger children and is the best option for limited time or energy. The Plain of Six Glaciers Tea House offers the best views and day trip experience. For more information on Lake Louise, visit the Banff Lake Louise Tourism website. Johnston Canyon is easily Banff’s most popular hiking trail and definitely the most crowded. Solve that problem by packing up breakfast and eating on the trail at the Lower or Upper Waterfalls. Get off the beaten path by searching for the secret cave and big rock down in the canyon shortly before the Upper Falls. You’ll see trails leaving the main trail shortly before the Upper Falls and the cave is a very short distance off of the main trail. Another secret tip – Hike beyond the Upper Falls to the Ink Pots and spend the night camping at a backcountry campground located a few kilometres beyond. Larry’s Camp, otherwise known as JO 9, is located roughly 9 km from the Johnston Canyon trailhead and is a hidden gem in backcountry Banff. Reservations can be made through Banff National Park at any Information Centre or over the phone. Floating the Bow River is a classic Banff experience that can’t be missed. It’s an easy outing as well thanks to rafting companies in the Banff area. Join a guided tour and you’ll find everything supplied including PFDs and all paddling equipment. Tours are generally family-friendly for children of all ages on this peaceful float with scenery and wildlife opportunities in abundance. Insider tips: Book tours early to avoid disappointment on popular summer days when tours may be fully booked. One of Canada’s most scenic driving tours, the Icefields Parkway connects the Village of Lake Louise with the neighboring Jasper National Park. Drive as far as you want and make sure you stop to take photos in front of Bow Lake. This is also the trailhead to Bow Glacier Falls, reached in an easy 4.6 km hike one way. Another popular hike starts from the highest point along the highway at Bow Summit. Follow the short interpretive trail to the Peyto Lake Viewpoint and then continue on the trail for the Bow Summit Lookout, reached in a 3 km hike one way. With so many options for amazing family-friendly adventures, the biggest challenge you will likely face is in choosing what to do amongst the many great choices. Regardless of whether you chose to explore Banff on foot, by boat, by bike or by car, there is never a bad day in Banff National Park. Enjoy! 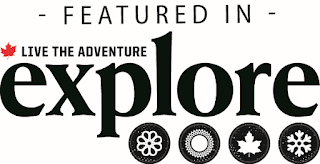 Thanks to Expedia.ca for inspiring and partnering with me on this story.